Red Sonja, the swashbuckling comic book heroine created by Roy Thomas and Barry Windsor Smith, is returning to the world of film. 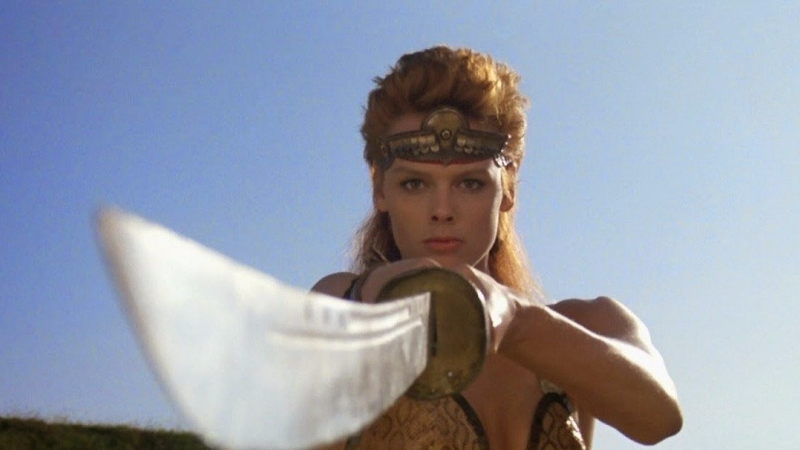 As reported by Deadline, the new Red Sonja film will be financed by Millennium Media and produced by Avi Lerner (The Expendables, Olympus Has Fallen) and Joe Gatta (2011's Conan the Barbarian) with support from Mark Canton (300) and Courtney Solomon (Cake) of Cinelou production company. First introduced in Conan the Barbarian #23 for Marvel Comics, Red Sonja, based on a creation by author Robert E Howard, is a sword-wielding warrioress who has headlined several comics runs, the highlight of which is a reboot run in 2013 by Gail Simone, and one feature film (a 1985 joint starring Brigitte Nielson as Sonja and Arnold Schwarzenegger as a Conan stand-in called High Lord Kalidor). Could the Wonder Woman Film Turn Into a Big Batman v Superman Reunion? It&apos;s Great We&apos;re Getting A Captain Marvel Movie. It&apos;s Also Not Enough.